Very good yield potential for its maturity and test weight. Use in cooler climates on good soil. 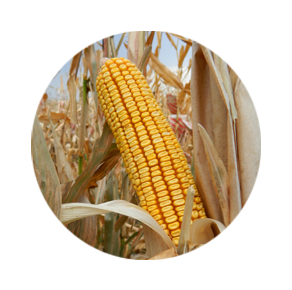 Medium height plant with a good-sized ear and kernels that dry down quickly. Near harvest, ears hang down with a loose husk. Plant for 26,500 P.P.A. at harvest. GOOD SEED SUPPLY. Very good seedling vigor, plant health, dry down and yield potential. Excellent standability with excellent stalks and roots. Medium tall hybrid with medium high ear placement with a semi flex ear. Plant for 27,000 P.P.A. at harvest. GOOD SEED SUPPLY. Fast emerging dual-purpose hybrid. A tall, leafy plant with an attractive ear with small cob and deep kernels. At harvest, ears are tipped down with open husks. Plant for 27,000 P.P.A. at harvest. FAIR SEED SUPPLY. 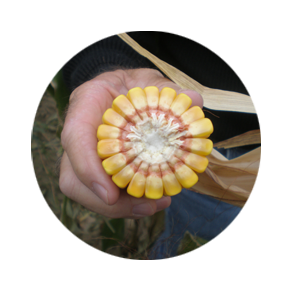 A grain corn with excellent seedling vigour that can perform at different seeding rates. Medium height plant with husks that open to allow good grain dry down. Plant for 29,000 P.P.A at harvest. LIMITED SEED SUPPLY. Very good seedling vigor, roots, stalk and fall dry down with high yield potential and the ability to form a quick canopy. Good plant health and stress tolerance. Medium height plant with medium ear height, bred for combining rather than silage. Extremely quick dry down at harvest time. Plant for 28,000 P.P.A. at harvest. GOOD SEED SUPPLY. 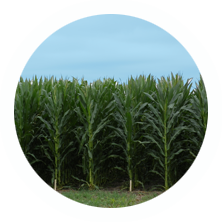 A medium tall dual-purpose corn with high yield potential and heavy test weight. Pink cob with deep kernels. The ear tips over and has a fairly loose husk at harvest. Standability is good as is dry down. Plant for 27,500 P.P.A. at harvest. LIMITED SEED SUPPLY. Excellent seedling vigour and stress tolerance that does well on most soil types. Produces long ears with good flex and grain quality. Husks open near harvest. Medium height plant that is more suited for grain production rather than silage. Plant for 28,000 P.P.A at harvest. LIMITED SEED SUPPLY. Quick canopy for early weed suppression. Very good spring vigor, plant health, stress tolerance and dry down. High degree of ear flex. Very fast dry down for combining and rated very high for silage use. Plant for 26,500 P.P.A. at harvest. EXCELLENT SEED SUPPLY. Silage Specific. Not just leafy but also the ears have floury kernels for high digestibility feed. Excellent seedling vigor, plant health, dry down and yield potential with high milk/ton. Very good standability and good stress tolerance. Plant for no more than 27,000 P.P.A. at harvest. FAIR SEED SUPPLY. Fairly tall hybrid with extremely fast canopy and very fast dry down. Medium height high flex ear and is good for hand picking. Very good stress tolerance, seedling vigor and yield potential in soil that has moderate fertility. Stalk and roots are strong compared to hybrids of the same maturity. Good resistance to Goss’s Wilt. Plant for 27,500 P.P.A. at harvest. FAIR SEED SUPPLY. This hybrid has excellent spring emergence with a high yield potential and a quick dry down. Very good standability and test weight. Very showy variety with medium tall dark green plants and a high flex ear. Plant for 27,000 P.P.A. at harvest. GOOD SEED SUPPLY. Silage specific variety with a white cob that has a very wide harvest window. Excellent seedling vigour with high tonnage per acre and high milk production per acre. Very good fiber and starch digestibility. Plant for 27,000 P.P.A. at harvest. VERY LIMITED SEED SUPPLY. Very good plant health, standability, dry down and yield potential. Good seedling vigor and stress tolerance. Short plant height with medium ear placement and flex ear. Plant for 27,000 P.P.A. at harvest. BR38G54 canopies quickly and has a medium stay green factor. FAIR SEED SUPPLY. Excellent drought tolerance and yield potential for both grain and silage. A very showy hybrid with good plant health and stay green. Above average standability. Plant for 28,500 P.P.A. at harvest. FAIR SEED SUPPLY. A tall plant with excellent standability and very good yield potential. Also, excellent for high moisture or silage. DL5601 has a white cob which makes it a viable contender if the grower has to prove separation for their certifier. Plant for 27,500 P.P.A. at harvest. GOOD SEED SUPPLY. Very high yielding on most soil types with good resistance to most corn diseases. A medium tall plant with a medium mount semi flex ear. Plant for 28,500 P.P.A. at harvest. VERY LIMITED SEED SUPPLY. Medium height plants with broad leaves and excellent yield potential. Mid mount ear placement with medium flex. Very good plant health, stress tolerance, seedling vigor and stalks. Good canopy makes a picture perfect C.O.G. hybrid. This hybrid is classified as very good as silage. High yielding across a large area. Plant for 28,000 P.P.A. at harvest. GOOD SEED SUPPLY. Excellent high yield potential across a wide range of environments. Has strong agronomics and disease package that works well at higher populations. Plant for 30,000 P.P.A. at harvest. LIMITED SEED SUPPLY. Excellent yield potential. Very good seedling vigor, stress tolerance, standability and plant health. Tall, big girthy plant with lots of leaves for weed suppression. Very fast canopy. Plant for 28,000 P.P.A. at harvest. FAIR SEED SUPPLY. Very good plant health, seedling vigor and yield potential. Medium tall plant with a fairly high medium flex ear. One of the highest yielding varieties in yield trials. Plant for 28,500 P.P.A. at harvest. GOOD SEED SUPPLY. Type 6 – known as Seahawk in the U.S.A. Plant 30#/acre between June 1st and July 15th. It likes warm soil. Cut 6-10 inches from the ground for faster regrowth. Harvest should be at approximately 4 feet in height. We have sold out of Certified Organic Sorghum Sudangrass every year so kindly order early to avoid disappointment. Apparently there has been an increase in the planting of more acres of sorghum sudangrass in general and Certified Organic in particular. The following four hybrids are leafy, floury, certified organic, untreated seed. All four feature above average digestibility, leafiness, large starchy ears and less lignin in the stalk. Plant for 28,000 PPA at harvest. Certified organic refers to agricultural products that have been grown and processed according to uniform standards, verified by independent state or private organizations accredited by the USDA. All products sold as "organic" must be certified. Certification includes annual submission of an organic system plan and inspection of farm fields and processing facilities. Inspectors verify that organic practices such as long-term soil management, buffering between organic farms and neighboring conventional farms, and record keeping are being followed. Processing inspections include review of the facility's cleaning and pest control methods, ingredient transportation and storage, and record keeping and audit control. Organic foods are minimally processed to maintain the integrity of food without artificial ingredients or preservatives. Certified organic requires the rejection of synthetic agrochemicals, irradiation and genetically engineered foods or ingredients.